I’ve mounted a beautiful 32mm round vintage reverse painted crystal intaglio of a Scottie in a gold plated Deco frame setting. To the back I’ve securely adhered a modern safety-type pin. 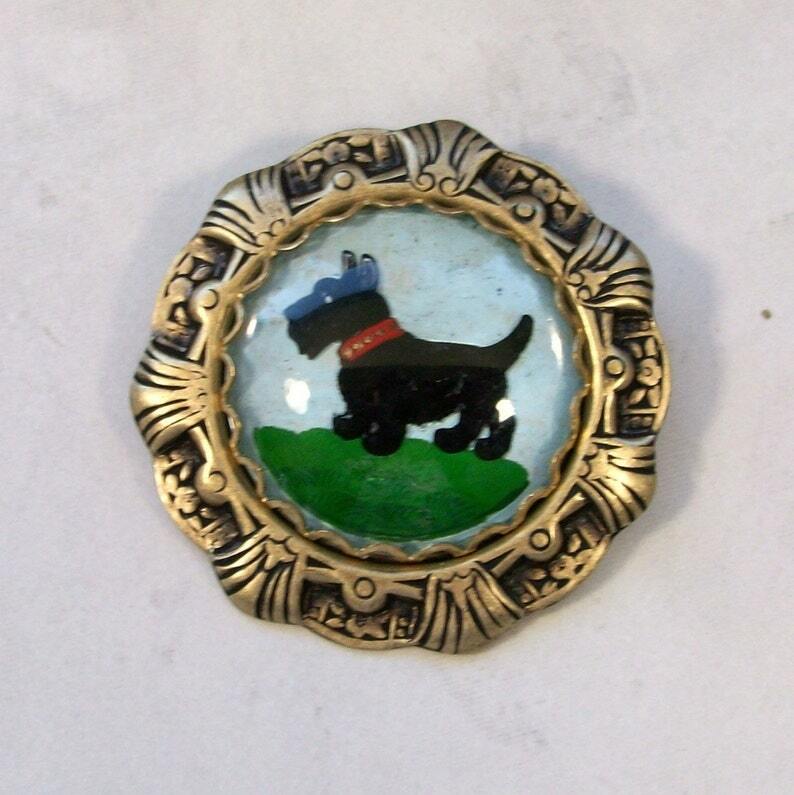 Total dimensions of this brooch is approximately 2” (50mm) in diameter. Very classical and lovely.